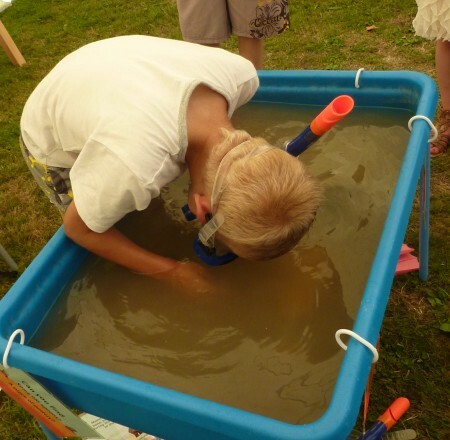 Last weekend Explore the Seafloor joined in the celebrations for Hampshire’s annual Water Festival at Staunton Country Park, in Havant. The water theme was very welcome on this hot July weekend. 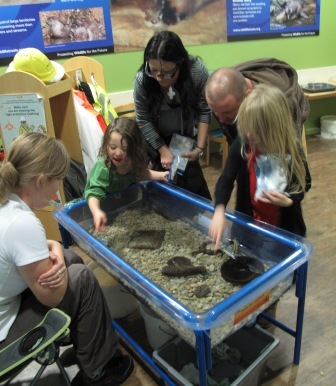 The Explore the Seafloor activity area let people cool down while exploring our water table for amazing artefacts. 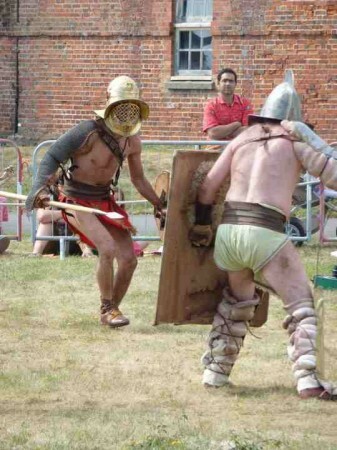 Dredged up from Britain’s coastal waters these archaeological finds include a Stone Age hand axe, which is 250,000 years old and a World War II bullet. Our fun activity area had over a thousand visitors and the team enjoyed sharing ideas about how these objects ended up at the bottom of the sea.